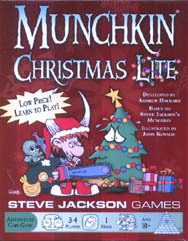 A Standalone Christmas Card Game! Low Price! Learn to Play! All players need a way to track Levels from 1-10 (some D10 dice, or a pen and paper - not included). You also need a six-sided die (also not included).